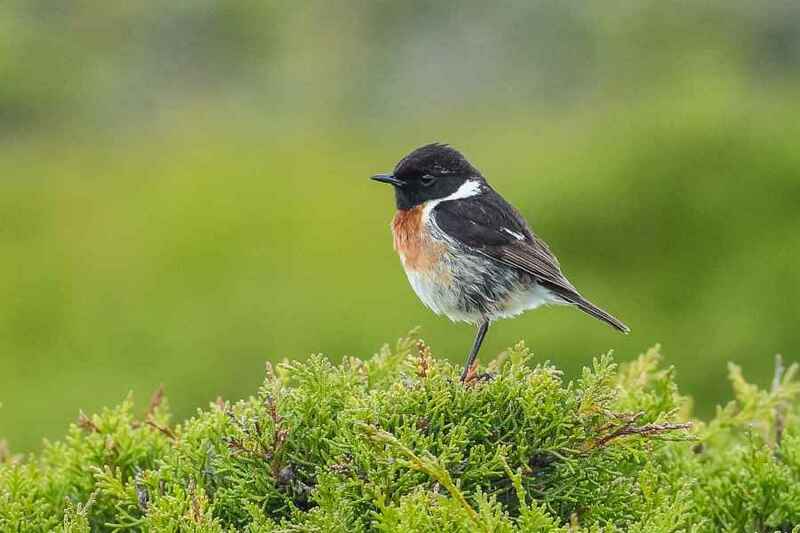 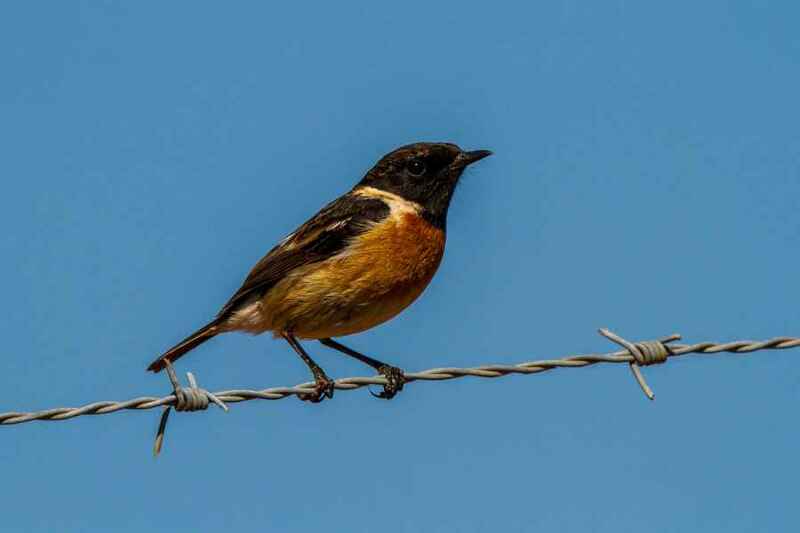 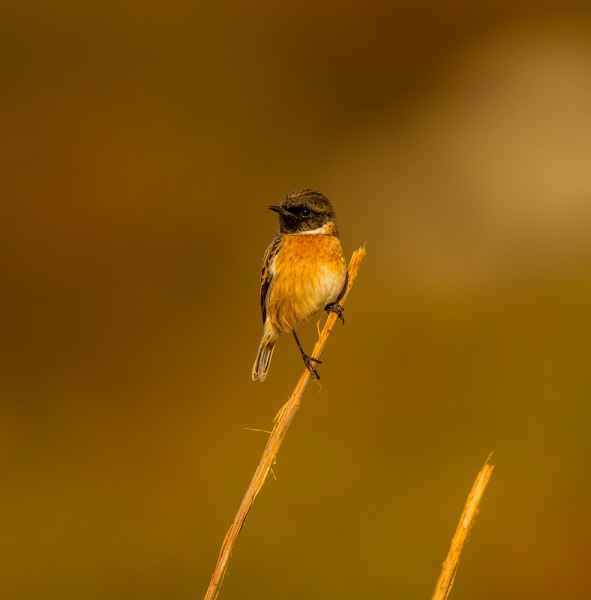 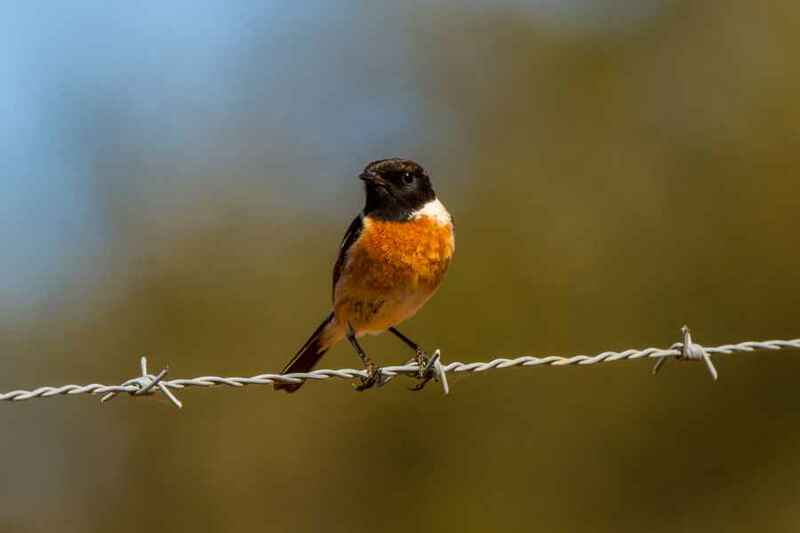 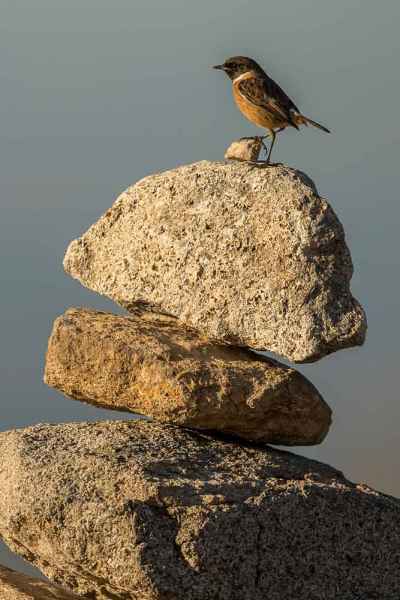 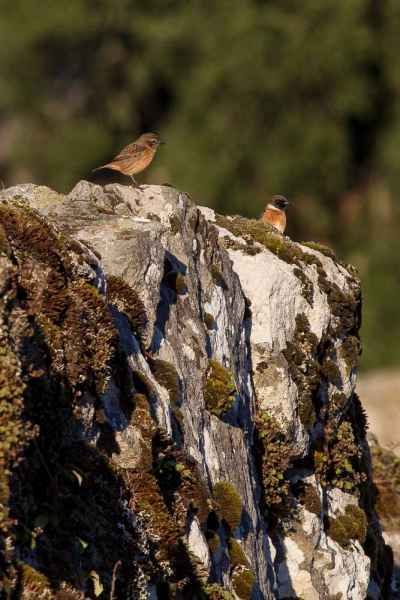 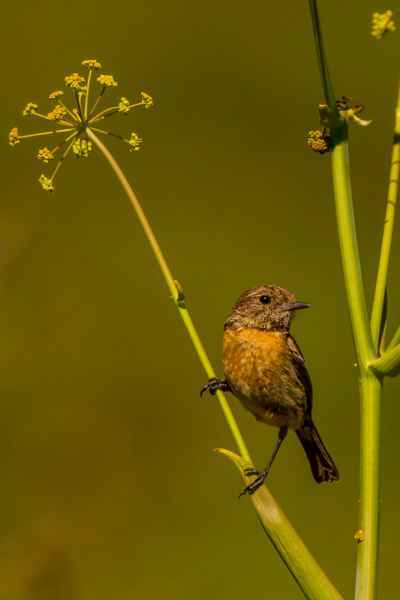 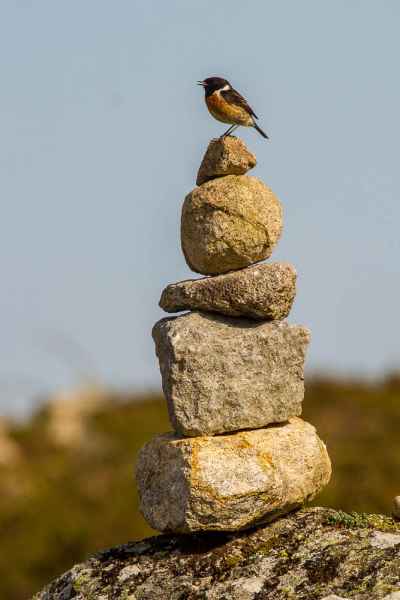 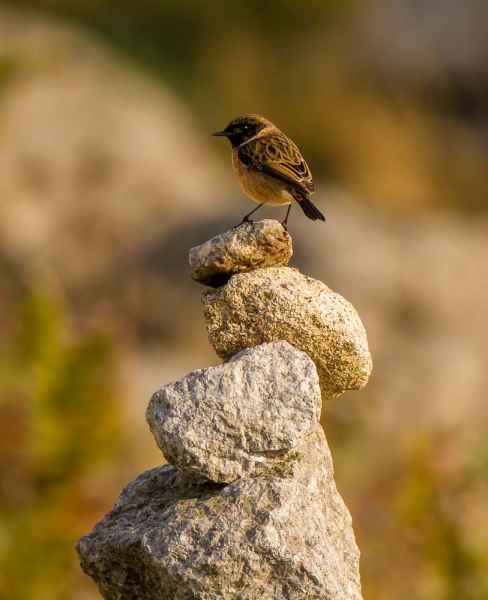 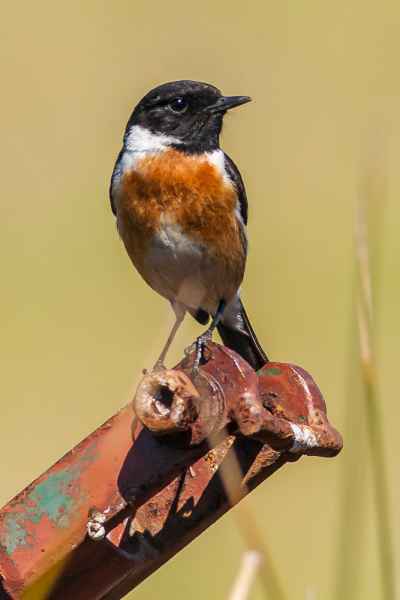 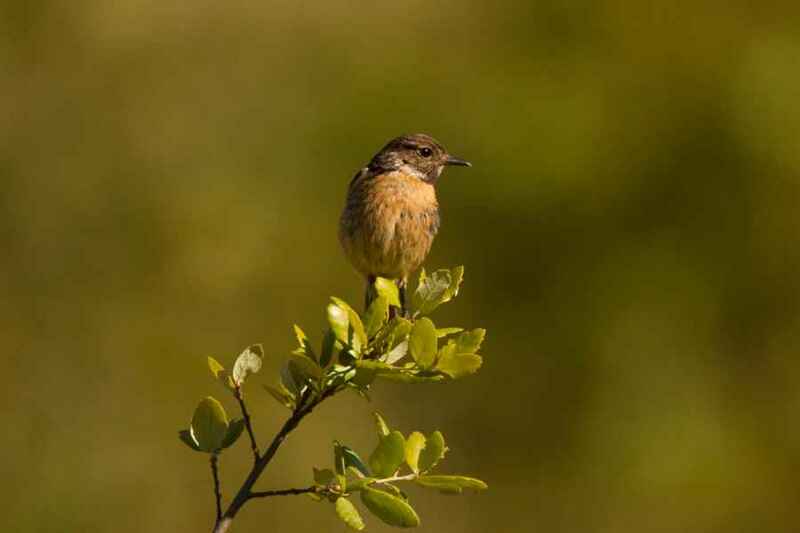 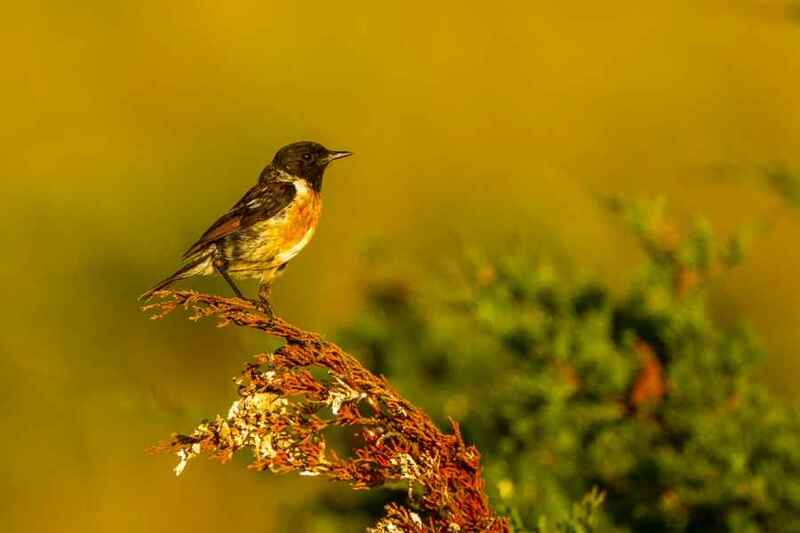 Common Stonechats are probably the most easily observeable species in Portugal as they are both resident and widespread, liking to perch well out in the open on roadside wires and fences etc. 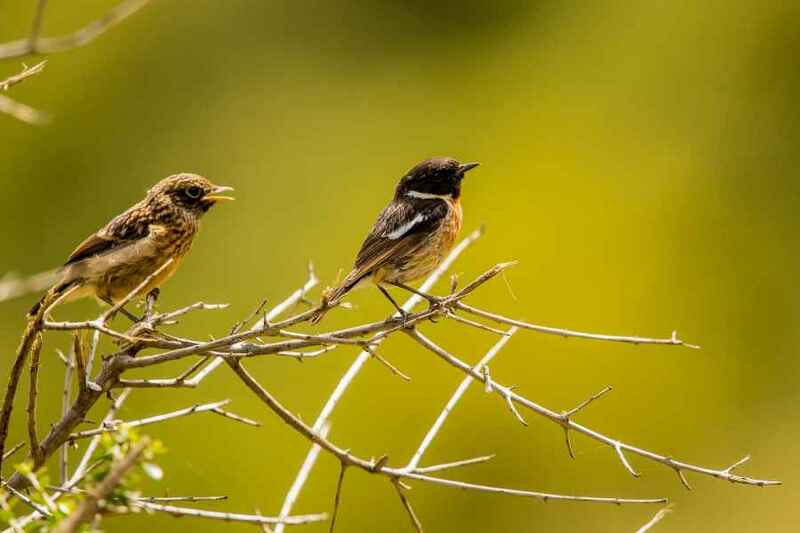 They tend to always be in pairs or small family groups. 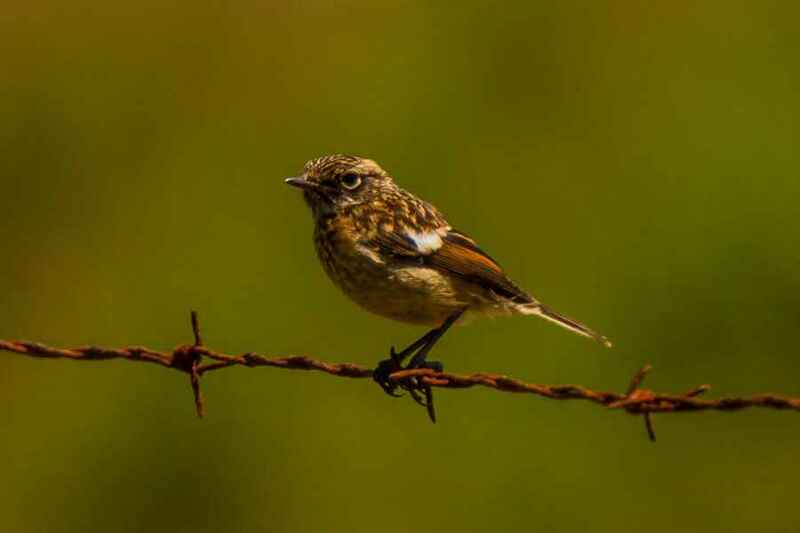 They breed early and I have seen fledged youngsters in January. 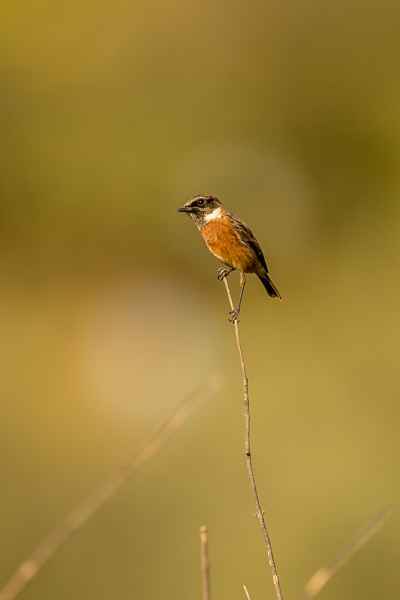 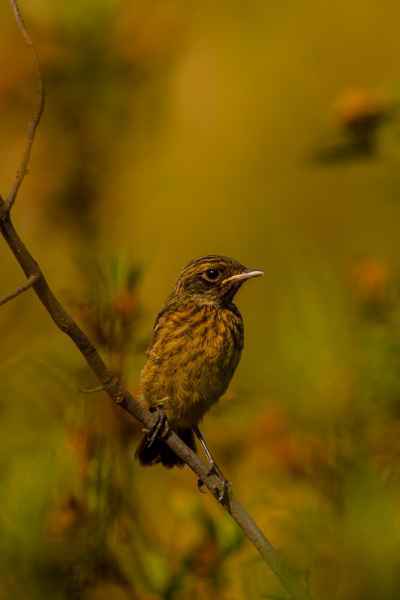 There is a good deal of change in the plumage during the year, especially of the male.